In the movie Me and You and Everyone We Know, Christine Jesperson is on a quest, whether she would describe it that way or not. She finds and even sometimes creates the beauty that can emerge from mundane, unexpected sources. The sound of TV static becomes ocean waves. A photograph of strangers drives a stirring video narrative. Her shoed feet are the lead characters in a short film about the difficulty of human connection. Hers is certainly a quest for art, but it’s also equally a quest for love, because for Christine the two cannot be separated. I think Christine Jesperson belongs in the Movie Character Hall of Fame because she is the centerpiece of a film that does not minimize her significance as an artist or a human being. That’s the miracle of Me and You and Everyone We Know (2005). It is a love letter to life, and art, and love itself, and it is quite possibly the most romantic movie I’ve ever seen. And yet it is not a trifle like most romantic comedies that make their characters clownish and their love infantile, nor is it a maudlin exercise in syrupy sentimentality like a Nicholas Sparks romantic drama. Me and You is ambitious, rich, and remarkably respectful of its characters, including its children. Even the characters’ sometimes questionable actions emerge from understandable places within them, and nearly all characters show authentic, believable movement toward becoming larger, more layered versions of themselves by the movie’s end. 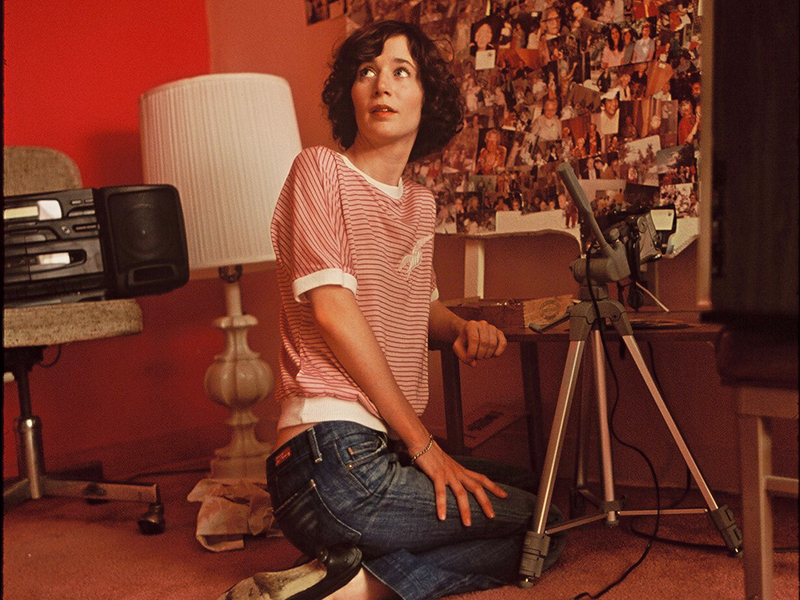 Christine is clearly a fictional version of writer/director/actor Miranda July, who plays the lead character to the film’s benefit, as Christine becomes a believable extension of July’s real-life ambitions rendered on film. The entire lifeworld in Me and You — its characters and relationships, its light and color, its dimensions of sound and angles of sight, its boundless wonder and discovery — feels like it has emerged from the July/Jesperson vision of a world where beauty and love are real and knowable, if sometimes elusive. The film challenges us to see life and its potential through Christine’s eyes, and then to move through our own world as she moves through hers, with arms and heart open to new sources of joy. Excellent. I could not agree more. I wish I’d written that sentence. I need to see this movie again. Thanks, Paul. It’s been on my mind lately for some reason, and I watched it again recently. I couldn’t really think of an angle for an Old Movie New Review, but I wanted to write something. “Inducting” Christine Jesperson seemed like the way to go — now she’s hanging out next to Otto West and William Hudson, being all wispy and ethereal next to those lovable oafs.